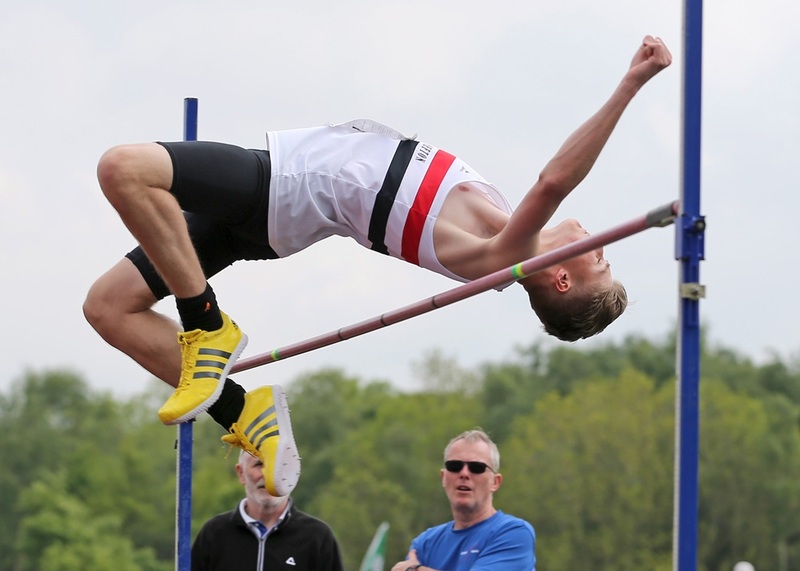 on this occasion he didn’t break through the 2 metre barrier, his leap of 1.95m was sufficient to secure silver and with it a place in the England team for the home countries international later this month. Sprinter,Elliot Jones, showed his consistency by recording 10.94 and 10.99 in the first two rounds of the senior boys 100 metres, but this wasn’t fast enough to secure a place in the final. Also competing at the event were junior high jumpers Owen Southern (1.72m), Sadie McNulty (1.49m)and long jumper Lauren Lewis (4.83m).All five Liverpool Pembroke & Sefton athletes can be proud of their achievements and will undoubtedly have benefitted from the experience of taking part in such a prestigious event. Elsewhere, Kirsty Longley continued her winning streak by winning the Manchester 10K by over one minute.